Recently, I tested products from Unequal Technologies Co. for use in my adult wood bat league. 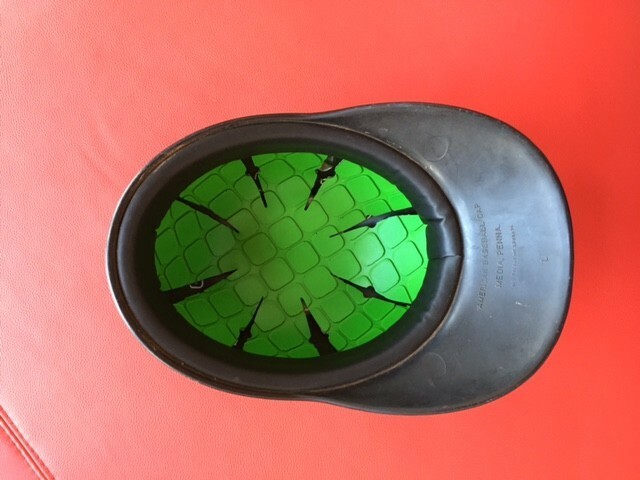 According to their website, they use a “patented military-grade composite made of these ingredients: multi-layer polypropylene polymer; elastomeric sealed Kevlar®; high density PVC foam; and low density polyurethane padding.” Their patented padding is thin, very pliable, yet firm and is intended to reduce the risk of concussions. 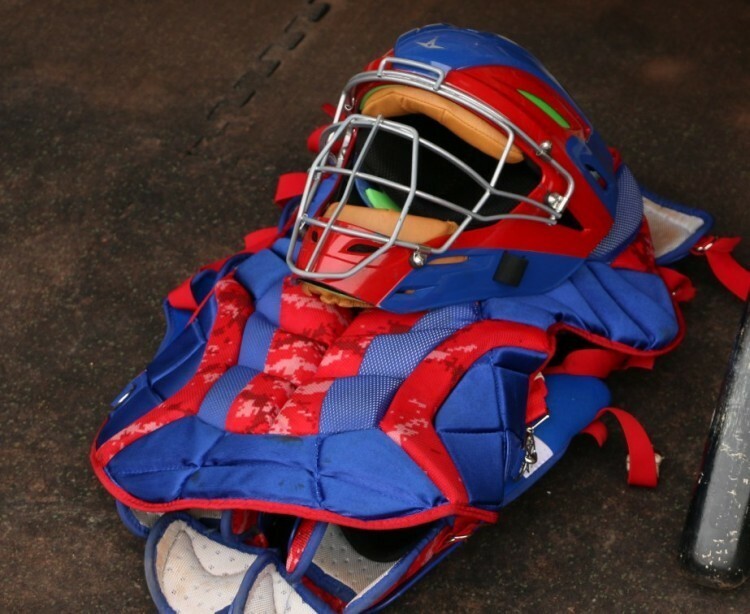 A few MLB catchers use Unequal in their hockey style helmets including David Ross of the Boston Red Sox, Robinson Chirinos of the Texas Rangers and Evan Gattis of the Houston Astros. I received the Dome, (baseball cap padding), Gyro (football helmet padding) and the Solo (padding for various sports helmets such as hockey, lacrosse, baseball and action) along with a sheet of Unequal padding, similar to what Buster Posey uses on the inner lining of his chest protector. The sheet of padding has a self-adhesive backing for easy attachment to any piece of equipment. These padding systems are meant to be a non-adhesive “Place-n-Play” style of attachment in which the material can be trimmed in order to fit the various types and sizes of helmets. In terms of the feel of the padding, it is firm with just a tad bit of give. The padding was extremely light and pliable, which is very important to me as a catcher. Lastly, with the recent trends of bright neon colors, the bright green color is eye-catching and undoubtedly stands out. Moving from the head down, I installed the Dome baseball cap padding in my Rawlings CCPBH catchers helmet, the same style helmet used by major league catchers. I chose the Dome due to the fact that my catchers helmet followed the same shape as a ball cap and required less trimming. The padding is easy to cut with a sharp pair of scissors or shears. 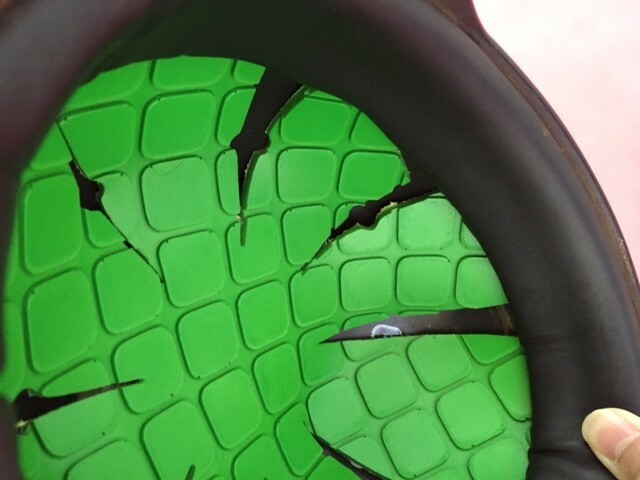 The padding is very lightweight and did not add significant weight to the head while catching. However, in my opinion, the fitment inside my helmet could be better. The padding, being about 6mm thick, requires the helmet to sit higher on the top of the head, although not a large amount and not a major objection of mine. The padding is not meant to be recessed to surround the existing padding in your helmet but instead, meant to sit below. I had thought about trimming the padding at the top of my head to eliminate the the helmet sitting higher on my head, but this would cut away too much of the padding and wouldn’t hold in place by itself. In terms of protection, taking foul tips off the mask does not seem to “jolt” the head as much as it did before. It may be that there is less movement in my helmet now that the padding is installed but I definitely had a greater sense of confidence in my helmet to protect against the 3 or 4 foul tips I received with pitching ranging from 65 mph to 80 mph. The slight difference in fit is well worth the added protection. Ventilation was also a concern of mine since it covered the two vent holes at the top of my helmet. (I play in the Las Vegas desert heat.) Foul tips off the face have and will continue to be a huge area of concern for all catchers as they move up the ranks and catch harder throwers. As catchers, we need to be sufficiently equipped when it comes to impacts to the head or face. I highly recommend the Unequal Dome for catchers who use the traditional helmet as I truly believe there is an improvement in the protection of the head. The padding is lightweight yet strong, and firm yet flexible. In addition, I installed the self-adhesive padding on my Mizuno Pro Chest Protector as I wanted more padding in the upper chest and collarbone areas. These areas are more bony compared to the abdomen and I wanted the added protection there. The self-adhesive padding is not available for purchase on their website but I believe this product is valuable as it gives flexibility of use on any piece of equipment for a wide range of sports. It can be easily cut into any shape imaginable and be adhered to many types of surfaces. In the case of my chest protector, it was installed on a mesh “Drylite” lining on the interior of the protector at specific flat portions where the protector did not bend. The padding sticks extremely well and performs brilliantly. The weight is unnoticeable and the padding adhered to the lining surface very well. I no longer feel the impacts from the blocks that hit higher in the chest during game situations. 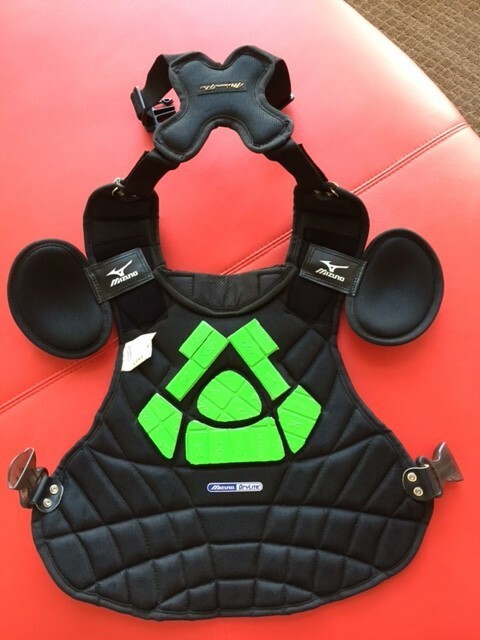 My pitcher was in the low 70’s but I feel the padding significantly upgraded the protection level and gave me more confidence in my blocking without having thoughts of pain from fastball blocks in the sternum, upper ribs or collarbones. All in all, I like this product due to its ability to be installed on almost any piece of equipment where a player would need extra protection. 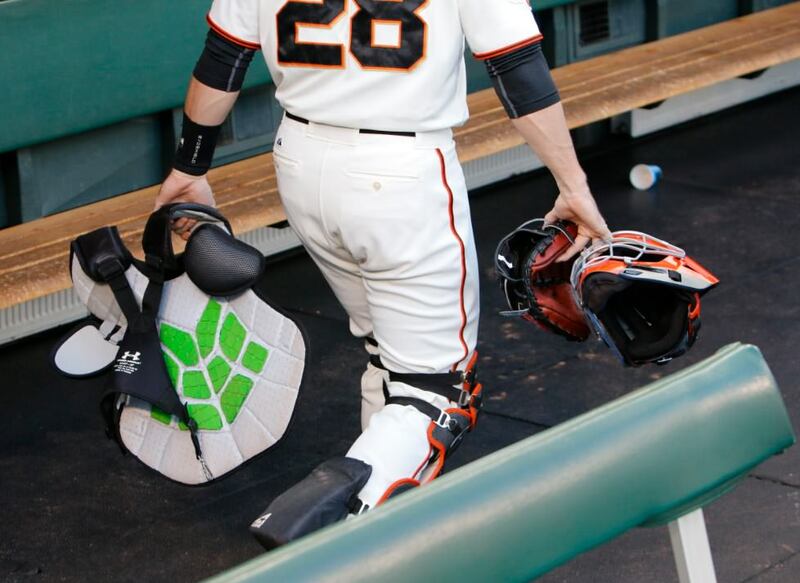 As a catcher, I can think of several additional uses for this padding like the inner knee caps and toe caps on leg guards, inside a catchers mitt for use as a palm pad or even on the exterior padding of a traditional catchers mask where the cage rests on the face pads for added shock absorption. Attempting to be creative with the Unequal padding, I added it to the inside of my wristband. 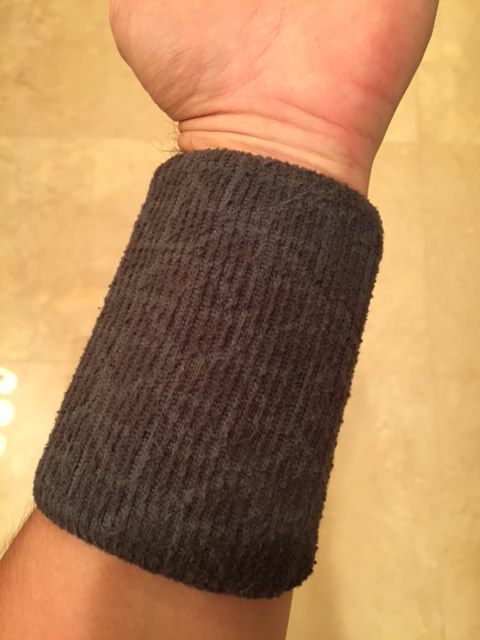 I had recently taken a block off the left forearm and decided to experiment with adding Unequal to my Nike Dri-Fit wristband (I use a wristband to wipe off sweat throughout a game). I cut out the inner seam of the wristband and slipped in the padding atop my inner forearm. The flexible padding conforms to the curved shape of the forearm while still providing firm padded protection to either the outside (while batting) or inside (while fielding ground balls or blocking) of a wristband. This usage of Unequal, again, gives me confidence at playing my position where protection and safety is paramount. Being a catcher that keeps a close eye on the latest improvements in catchers gear, I am always looking for ways to better protect parts of my body that take a normal beating. I’ve found the Unequal padding, along with the Dome cap, to be very useful in my field tests. I used the padding in 7 games and noticed its effectiveness in not only providing superb, lightweight protection, but also instilling confidence while playing a sometimes dangerous position. If Unequal choses to publicly sell the self-adhesive padding version, I suggest that all players get creative and utilize the flexible padding to help reduce risks of injury and play hard with less distractions from your equipment. Visit Unequal or follow them on Twitter and Instagram for more info. Hi there, just wondering where you got your Mizuno Pro Chest Protector from? thanks!